Galveston’s popular Bathing Beauties have a new place to call home as Beach Central, located adjacent to the Hotel Galvez & Spa®, plays host to the annual Galveston Island Beach Revue. 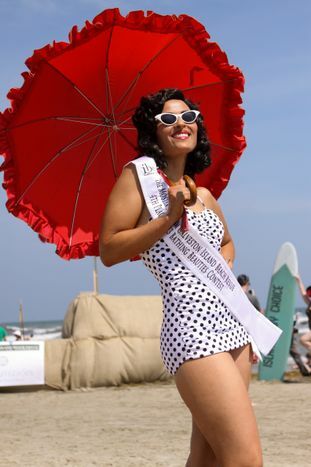 The Galveston Island Beach Revue, scheduled on May 16 and 17, is Galveston’s official kick-off to summer. Admission to the event is free to the public and offers a weekend of family-friendly events headlined by the Bathing Beauties Contest. Hotel Galvez & Spa®, A Wyndham Grand Hotel, is the title sponsor of the event. The annual event, held the third weekend of May, benefits Galveston’s Family Service Center with a percentage of profits going towards the Island non-profit.